Previously published by Diabolical Plots. Substituted the word 'auntie' with the word 'corporation' and it becomes 85% less fantastical. Except for the part where one of them has any remorse. This one should be on the Pseudopod cross-list, if it's not already. 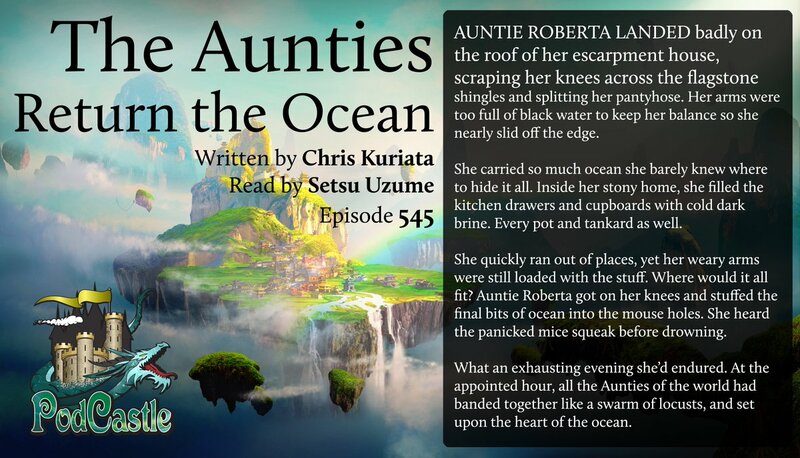 By coming from the point of view of an Auntie, the horror of the world was revealed slowly. It wasn't until the story was over that it all sunk in for me. Is there really a Pseudopod cross-list? Is it just for PodCastle or also for Escape Pod?